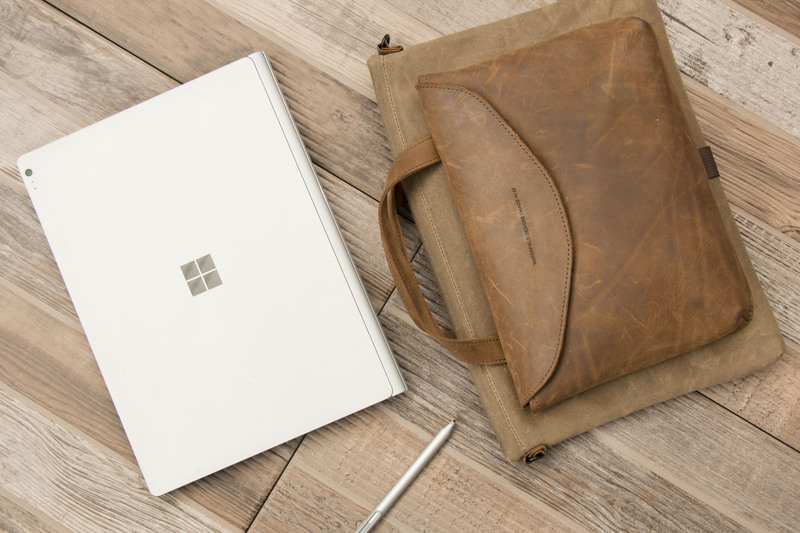 To house Microsoft’s new Surface Book i5/i7, WaterField Designs announces the custom-fitted Syde Case, a svelte bag for mobile professionals that bridges the gap between sleeve and briefcase. 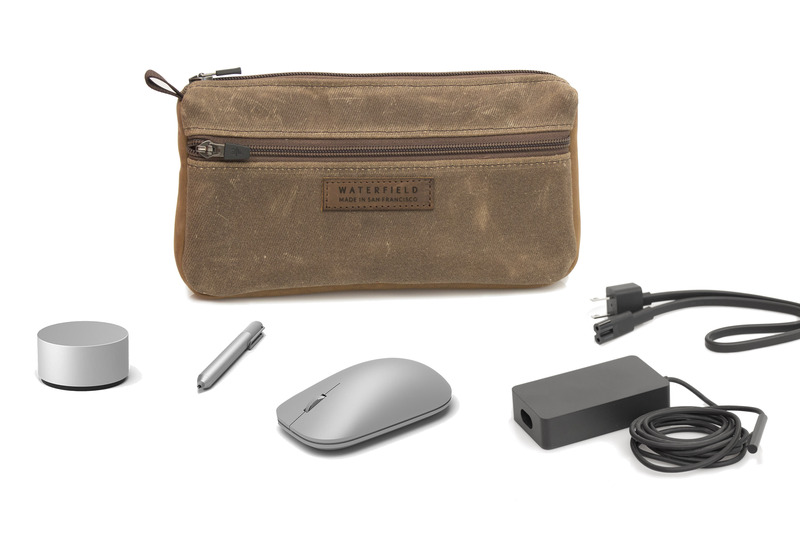 WaterField’s new Surface Accessories Pouch provides customized, padded storage for the Surface Pen, power supply, new mouse, Surface Dial, cords, USB, ear buds and a few additional necessities, all in one padded organized place. The custom-fitted Syde is an ideal case for minimalist professionals who want to protect their powerful new Surface Book on the go. WaterField Designs announces the Syde Case for the new Surface Book i5/i7—a custom-fitted minimalist carry that bridges the gap between sleeve and briefcase—and the Surface Accessories Pouch designed to meet the needs of new Surface Book i5/i7 users on the go. 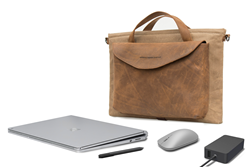 The lightweight, slim Syde Case protects a minimalist professional’s entire mobile office: a ballistic nylon or waxed canvas laptop sleeve carries the Surface Book i5/i7, and a roomy leather front compartment stores critical Surface accessories plus daily essentials. 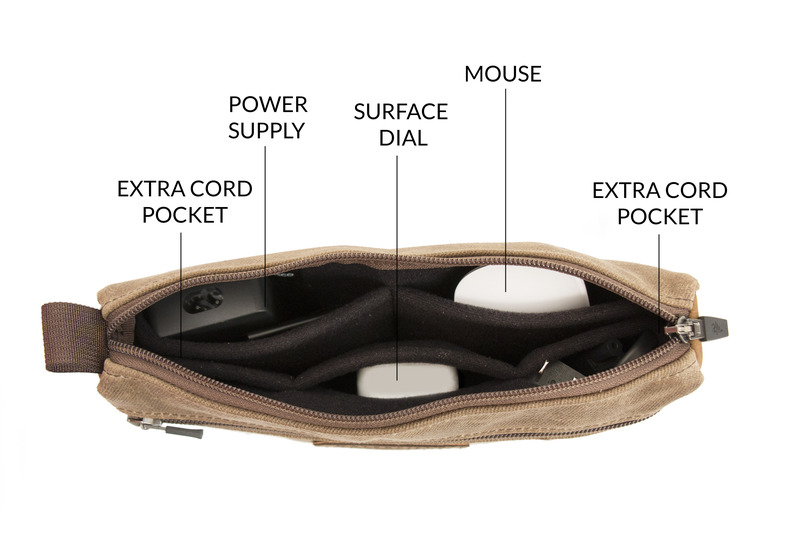 To keep Surface Accessories organized within another bag, WaterField’s new Surface Accessories Pouch is customized to fit the laptop-hybrid’s most critical extras—the Dial, the new mouse, the power supply, cords plus other miscellaneous items. WaterField has been designing and manufacturing laptop sleeves, bags, and cases for digital gear in its San Francisco studio since 1998. The all-in-one Syde Case combines a custom-fitted, black ballistic or waxed canvas, neoprene-lined, laptop sleeve with an attached full-grain leather, spacious accessories compartment. 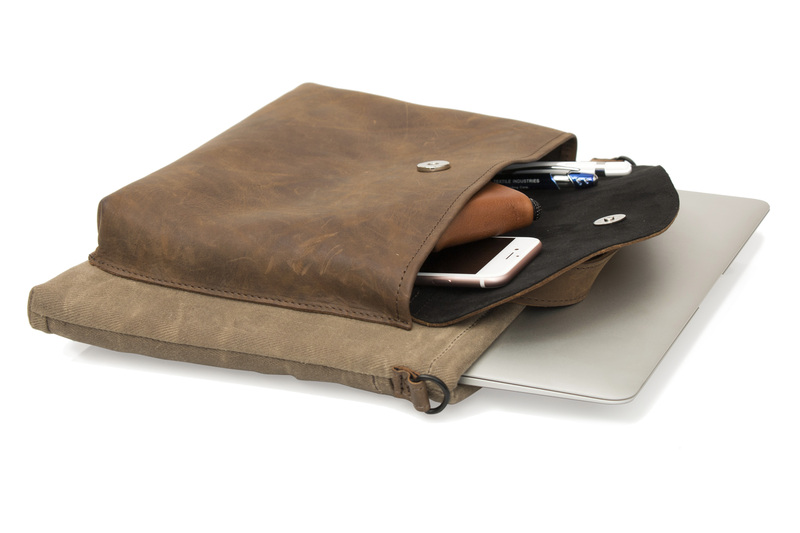 A unique magnetic closure runs side-to-side across the top of the sleeve allowing for easy, noise-free laptop access. 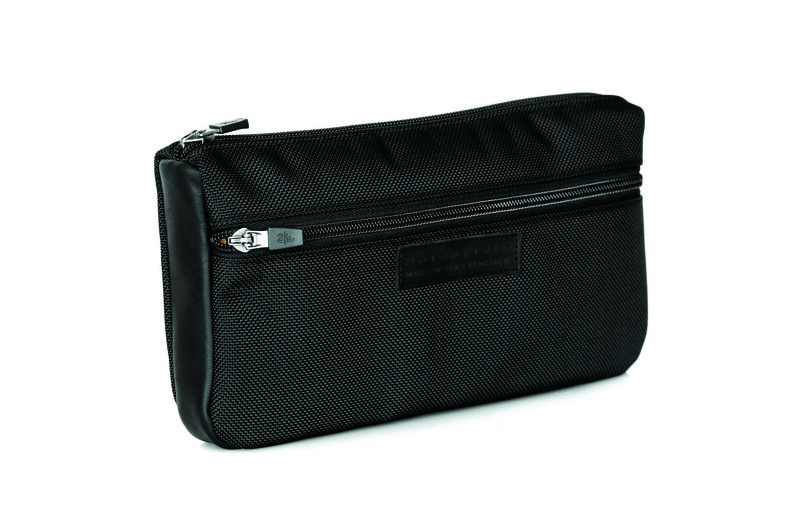 Lined with soft, scratch-free material, the front compartment houses internal organizational pockets to securely hold the Surface Pen and a smartphone, with ample additional space for the Dial, power block, new mouse, wallet and keys. An open-topped back pocket stores an extra magazine or files. An external bottom loop helps ease the laptop out of its snug-fitting case. 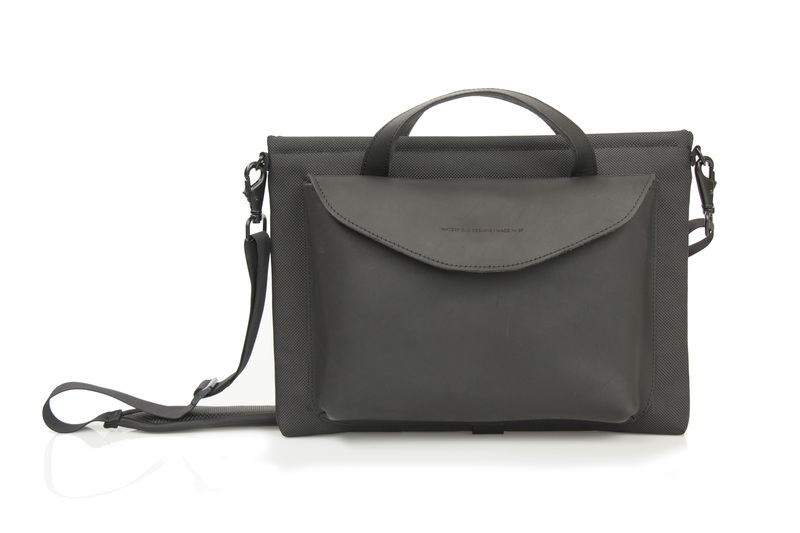 Leather handles and a removable shoulder strap allow users to carry the Surface Book briefcase- or messenger-style. 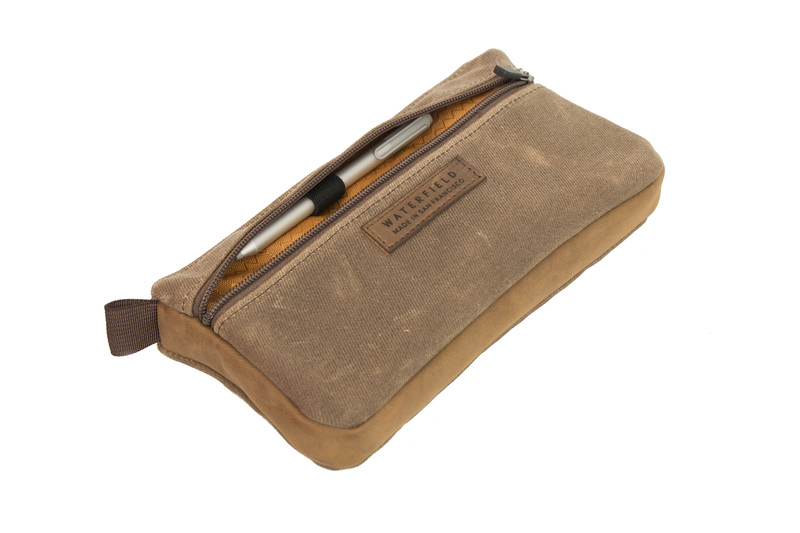 WaterField Designs’ new, padded Surface Accessories Pouch sports custom pockets to protect and organize the Dial, power block, extra cables and a new mouse, plus a special easy-to-access loop to secure the Surface Pen and extra space for additional necessities. The water-resistant exterior comes in waxed canvas and chocolate full-grain leather or black ballistic nylon and black full-grain leather, with a plush interior and self-locking zippers. 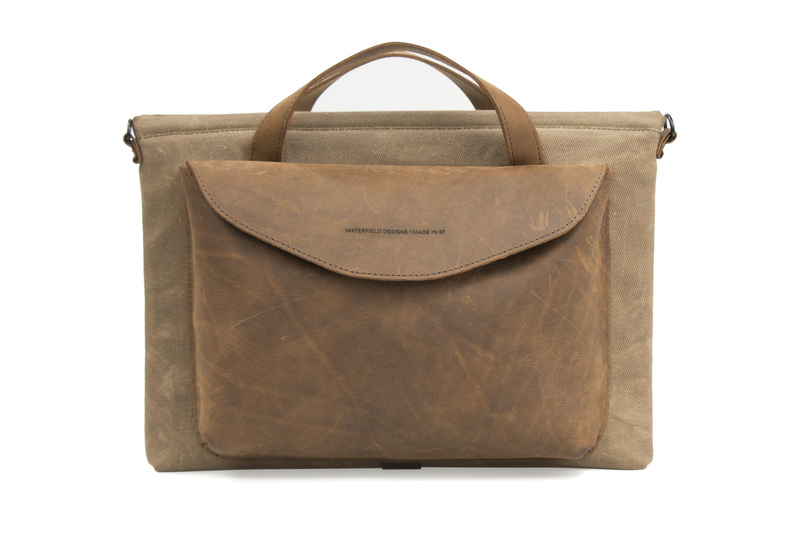 WaterField’s additional custom-fitted Surface Book cases include: the SleeveCase and Dash Sleeve for device protection within another bag, and the Outback Solo, Muzetto vertical messenger and Staad Laptop Backpack for carrying the Surface and additional items. Size: Custom-fitted sleeve fits Surface Book dimensions. Color options and materials: Black ballistic nylon with full-grain leather pouch in black or grizzly leather. Tan waxed Canvas with full-grain leather pouch in grizzly. Lined with 6 mm shock-absorbing neoprene. All Syde cases include a removable, matching-color, 1-inch shoulder strap. Color options and materials: Tan waxed canvas with full-grain grizzly leather trim or black ballistic nylon with full-grain black leather trim. WaterField Designs ships worldwide from its online store. The Syde Case and Surface Accessories Pouch are available for preorder now and will ship in late November. All other cases are shipping now. WaterField Designs, Syde Case, SleeveCase, Dash Sleeve, Outback Solo, Muzetto, and Staad Backpack are trademarks of WaterField Designs. Other company and product names may be trademarks of their respective owners. Copyright ©2016. All Rights Reserved.